In the summertime, the world begins to slow its pace. It’s natural for adults and children to alter their daily activities a bit as the days grow longer and the temperatures warm, but children, specifically, benefit from new experiences and adventures in the summer. Summer camp is the perfect opportunity for children to explore, get out of their comfort zone, and blaze new trails. If you are looking for a fun and educational child care for the summer, call Child’s World Academy. Camp gives your kids a taste for outdoor activity. Summer camp, for many kids, is a great introduction to daily hiking, swimming, climbing, boating, and learning about the animals and plants that surround them in the great outdoors. The summer months are an important time for kids to fully appreciate their natural surroundings, in an immersive and celebratory way. Summer camp helps kids to build confidence. For kids, self-confidence and self-esteem often come from experiencing new things and mastering them at their own pace. As your child learns new skills and is exposed to activities they’ve never engaged in before, she’ll learn that she can improve, build upon those skills, and feel a sense of accomplishment. Getting away from technology is a nice break. Kids spend the rest of their year with a choice of various screens before them. While they ping-pong back and forth between iPad and television and attempt to distract parents from their phones, a little bit of spontaneity and activity is lost. Summer camp allows them to unplug completely, live in the present, and enjoy spending time with friends. Camp provides skill-building exercises. 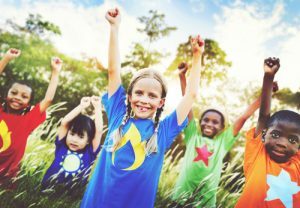 Whether your child is adept at arts and crafts, learns survival skills easily, or picks up new sports activities at the drop of a hat, he’ll find something to excel in at summer camp. A lot of our children’s long-term interests are first developed at summer camp. Making friends happens easily at camp. 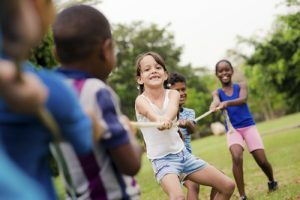 Something about the relaxed atmosphere at camp, and the fact that children are performing new activities with one another day in and day out seems to promote bonding and socializing that cements friendships. Your child may end the summer with a better understanding of what makes friendship so important. If your child loves summer camp, tell us a little bit about his favorite experiences and best-loved adventures in the comments section! Call us today if you are looking for fun and educational day care for the summertime. We have two convenient locations, in Monroe, CT and Peekskill, NY. Call and schedule a tour to see our facility and meet our staff.